In Corpore from Vilnius, Lithuania is a group of young and experienced LGBT activists that promotes equality and diversity. It wants to increase the visibility of LGBTs, implement education on sexuality and human rights, and end discrimination. In August, 2014 In Corpore organized the Kreivės LGBT* Festival, screening 20 movies and documentaries for free to the general public. 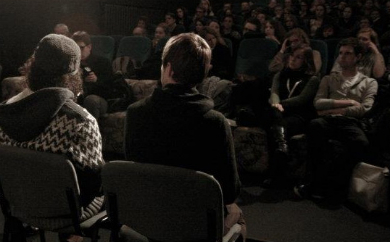 PlanetRomeo Foundation funded the discussion panels, which took place during this festival. The idea behind the panels was to show the general public who these LGBTs are, how do they actually live and which problems they face in their day-to-day lives. Lithuanian LGBTs face a lot of negative stereotypes and discrimination. The 2009 Protection of Minors Against Detrimental Effects of Public Information law makes it difficult to publicly talk about LGBT issues.